Some weeks ago I had to wipe my machine and reinstall everything from scratch, SQL Server included. 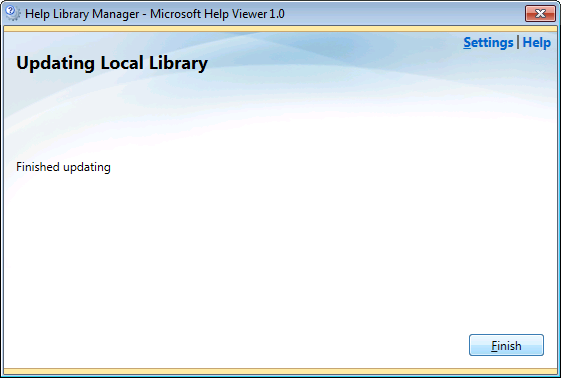 For some reason that I still don’t understand, SQL Server Management Studio installed fine, but I couldn’t install Books Online from the online help repository. 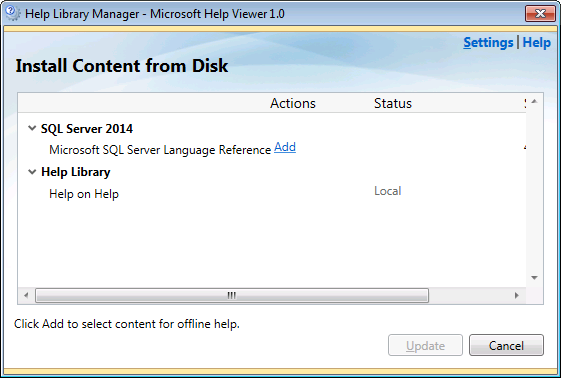 Unfortunately, installing from offline is not an option with SQL Server 2014, because the installation media doesn’t include the Language Reference documentation. 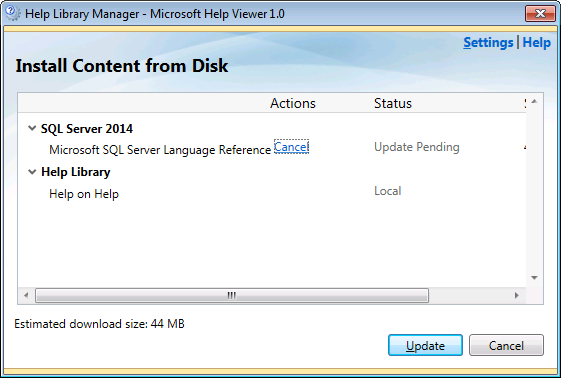 The issue is well known: Aaron Bertrand blogged about it back in april when SQL Server 2014 came out and he updated his post in august when the documentation was finally completely published. He also blogged about it at SQLSentry. Needless to say that the event log had no interesting information to add. 9. 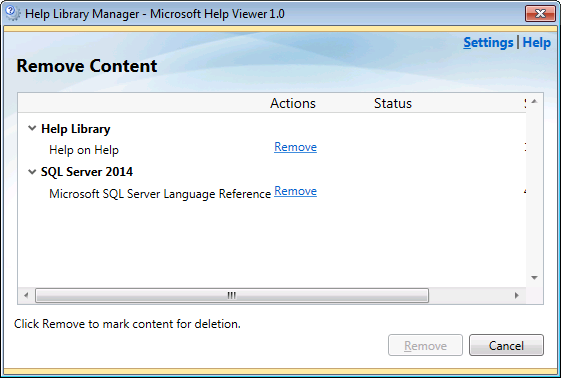 To check whether everything is fine, click on the “remove content” link and you should see the documentation. Done! It was easy after all, wasn’t it? Lately I spent some time evaluating some monitoring tools for SQL Server and one thing that struck me very negatively is how none of them (to date) has been reporting database free space correctly. I was actively evaluating one of those tools when one of my production databases ran out of space without any sort of warning. I was so upset that I decided to code my own monitoring script. Hard set limits for file growth have to be considered: a drive with lots of space is useless if the database file cannot grow and take it. If fixed growth is used, there must be enough space in the drive to accomodate the growth amount you set. Some scripts found in blogs and books don’t account for mount points. Use sys.dm_os_volume_stats to include mount points in your calculation (unless you’re running SQL Server versions prior to 2012). Database free space alone is not enough. NTFS performance start degrading when the drive free space drops below 20%. Make sure you’re monitoring that as well. That said, here is my script, I hope you find it useful. I am sure that there are smarter scripts around that calculate it correctly and I am also sure that there are other ways to obtain the same results (PowerShell, to name one). The important thing is that your script takes every important aspect into account and warns you immediately when the database space drops below your threshold, not when the available space is over. Last time it happened to me it was a late saturday night and, while I really love my job, I can come up with many better ways to spend my saturday night. I'm pretty sure you do as well.